Composed by Craig Curry. Sacred Anthem. Octavo. Published by Chorister's Guild (CG.CGA1170). 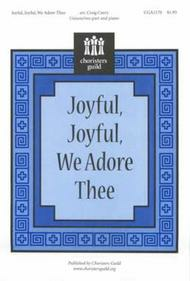 Respectful of the timeless purity of Beethoven's HYMN TO JOY melody, this creative setting incorporates fresh harmonies and engaging rhythmic motifs that underscore the worshipful enthusiasm of Henry Van Dyke's cherished hymn text "Joyful, Joyful, We Adore Thee." Opening quietly with an optional solo, intensity gradually builds throughout the piece and culminates in the addition of an optional second vocal part for the final two stanzas. 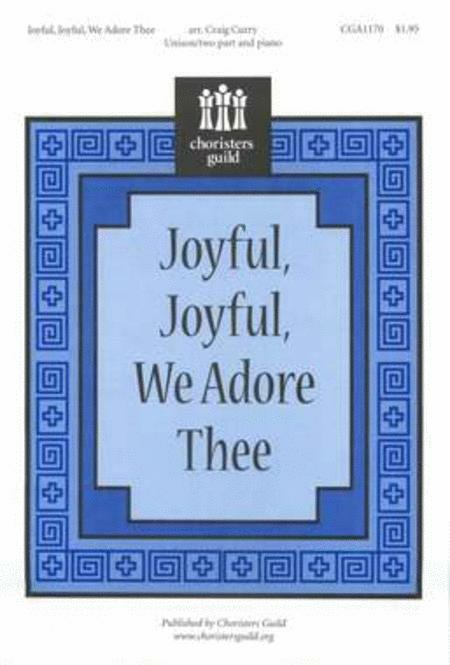 Great for older elementary choirs or any choir of treble voices.